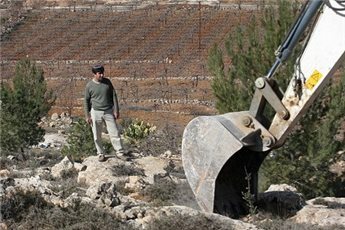 Israeli settlers, on Sunday, razed land in the village of Jallud, to the south of Nablus, that belongs to a Palestinian man. 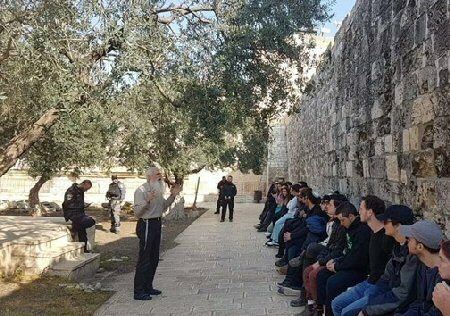 Ghassan Daghlas, who monitors settlement activities in northern West Bank, said settlers from the illegal settlement of Esh Kodesh razed, with bulldozers, land that belongs to Ahmad Muhammad. He said, according to WAFA, that works in the village’s land, near the illegal settlement of Ahya, have been ongoing, with Israeli authorities notifying some Palestinian families to stop construction of their homes.